2013 things lookedup for singer - BOJ, he featured on two of the biggest songs Ajebutter 22's ‘Omo Pastor’ and SDC's ‘Feel Alright’, as well as many other songs including songs with his group - DRB LasGidi, and his own singles. One those singles are ‘#BOTM (BOJ On The Microphone)’ off his mixtape, which he also released that year - with the same title. 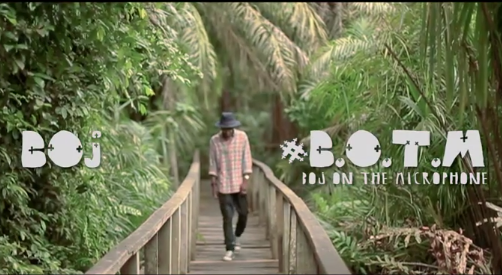 The video to ‘#BOTM (BOJ On The Microphone)’ was shot in Lagos, Nigeria and features appearances from Dr. Sid, Ayo Jay, Davido, Show Dem Camp, Ajebutter 22, and the other members of DRB: Teezee and Fresh L.